Andrew Marton’s The Thin Red Line (1964), an adaptation of James Jones’ novel (later adapted by Terrence Malick), is a psychological study of men of war – their intentions, fears, masculinity and interrelationships – during the Battle of Guadalcanal. The central relationship between Keir Dullea’s young, naive Pvt. Doll and Jack Warden’s fatalistic First Sgt. Welsh is well established, and leads to a surprisingly touching climax, continually posing the ironic question of what makes a man, and more importantly, a soldier. Is Welsh’s suggestion that we are all just ‘meat’ actually less humane than the agony we witness on Doll’s face as he desperately kills an enemy? What do the lessons of war teach those who create and define society? The Thin Red Line is less than subtle in raising these points, and unfortunately the middle half hour lags hugely. The violence veers uneasily between being brutally violent, yet also an over stylised, Boy’s Own-type affair. 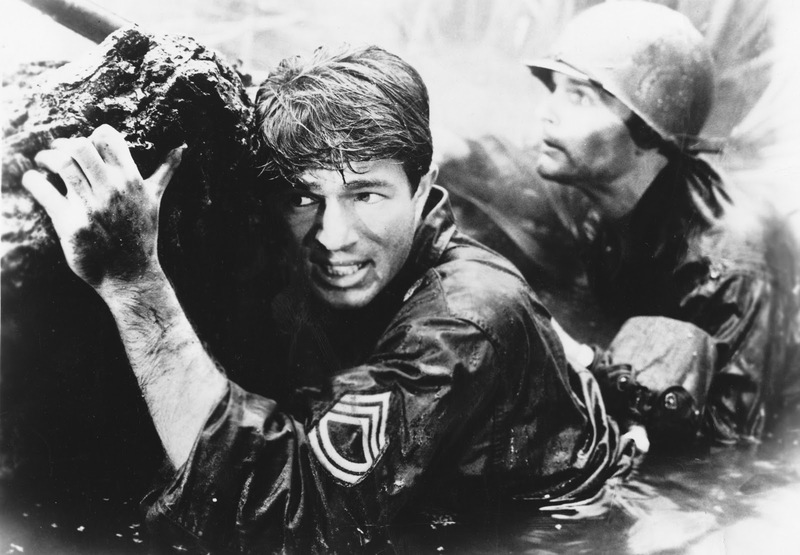 The score too is often insistent and invasively melodramatic, sitting awkwardly with the affecting scenes of difficult, personal man-on-man combat. Warden’s First Sgt. Welsh does an impressive job of holding these disparate elements of the film together, at first keeping his cards close to his chest before uncovering a wealth of depth and previously unseen doubtfulness about his will and questionably ‘humanist’ morality. This original version of The Thin Red Line adds up to a muddled, yet ultimately worthwhile picture. However, if I had to recommend either this or Terrence Malick’s 1998 adaptation, a film which deals with all of the 1964 version’s themes from a far more ambitious, existentialist perspective, I would most certainly suggest viewing the latter. It’s just a shame I’d seen Malick’s film first.